This is blooming in the garden right now. I can’t wait to see my garden design. 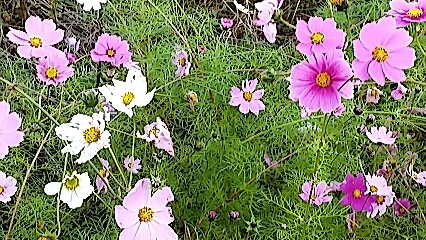 I don’t know whether cosmos will be in the mix but something tells me there will be no way to get rid of them. Excellent. Note that the focus has shifted from house to garden?! Thank you, that’s so nice! Actually I have checked the blogs you follow and have added a few to my own list. Good choices! I should write more about the garden. I have long been interested in garden design. I think one of the great events of my education was having the Jellicoes speak to us in a landscape design class I was taking. One reason I got into this project was that I couldn’t have a garden in Paris. Over time, as the house wraps up and as my designer sends plans, I’ll shift my focus.